Discussion in 'Transformers News and Rumors' started by Tim Formas, Aug 26, 2010. Although listed as the sixth part of "Battle Series 2", I did not see Enforcer Ironhide vs. Mixmaster. Yep. Found 'em at the TRU in Albany, NY today. I don't think I will be purchasing any. Already got Long Haul/Prime via BBTS, but I'm prepared to hunt the hell out of Wreckloose. I've been looking for the RPM's version since its release with no dice and missed BBTS's preorder for it. There appear to be variants to at least one (maybe two) of these as well. So, I guess it would be possible to have both versions of Prime ("normal looking" and "silver node, red cab") show up in both the OP vs. BC and the OP vs DLH sets. This wasn't a one-off error or an instance of BBTS showing the wrong product either, as there was another OP vs DLH set matching the one I purchased/initially described above. Definitely getting the Nightwatch Bumblebee vs. Patrol Barricade. 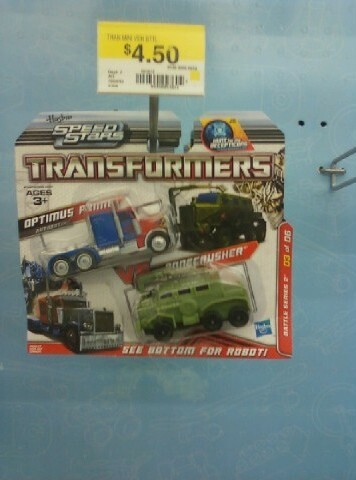 The new RPM/Speed Stars figures look like crap with the almost unpainted robot mode underneath. Fail. 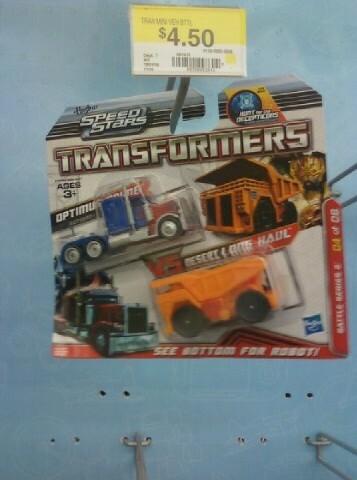 I doubt very many people were buying these for the robot mode anyway. Besides, the lack of extra deco on the under belly is probably why these things are so much cheaper than before, which I welcome with open arms. I thought it was strange too that the die-cast versions were the same price as the plastic ones when they first surfaced under the RPM banner... They didn't take long to correct the situation by removing paint apps. Which is sad. Believe it or not, I display my RPMs in "robot" mode to save on space. Plus, from a distance, they look like Spychangers. is this die cast or plastic or what?